The Chamber of Commerce and Industry of Northland (Inc) is a non-political, non-profit organisation which represents the full spectrum of business interests, both small and large, in Northland – retailing, service, manufacturing exporters, importers and other organisations. Formed in 1902, the Chamber is one of 20,000 Chambers worldwide, and 29 in New Zealand. The Chamber is governed by an elected President and Board of Directors, supported by skilled and professional staff. Since 1902, the Northland Chamber of Commerce has served the needs of the Northland business community through its public policy and advocacy initiatives and its business development programmess and services. The Chamber also works to ensure that Northland has a business-friendly environment, where all businesses can grow and prosper. With this, comes paying close attention to the quality of life the region offers our members’ employees and families. The Chamber works to make a difference in Northland’s future and to help Chamber members’ businesses grow. Our mission is to inspire and influence business vitality. We do this by positively influencing the environment in which businesses operate and by providing “opportunities, products and services” that will improve the success and vitality of business. Encouraging and assisting members to measurably and continuously improve efficiency and effectiveness to produce long-term profit and positive societal consequences as measured by internationally recognised performance indicators. 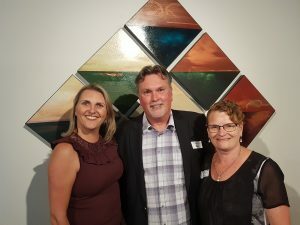 NZ Chambers of Commerce Northland is a voluntary association of companies and individuals engaged in business activities in the Northland region. Freedom of enterprise for those who by their individual and corporate talents contribute real economic, social and cultural wealth to the community. The development of a market economy in which there is minimal interference from central and local government. The strengthening of Northland’s place as New Zealand’s commercial, industrial and communications centre, offering an exceptional quality of life. Assisting the development of the region as a desirable commercial and industrial environment for its citizens. The Chamber is run by skilled and professional staff, supported and governed by an elected President and Board of Directors.